The Pro Tour Tennis International is returning to Alice Springs. Hosted under the backdrop of the magnificent MacDonnell Ranges, professional tennis players will compete for a prize of $25,000USD from 16 to 23 September 2017. 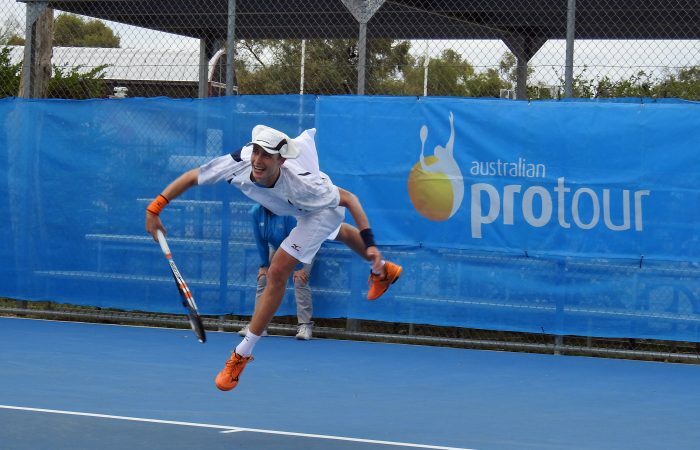 The Alice Springs Tennis International, a key stop in the Men’s International Tennis Federation’s (ITF) Futures Event, forms part of the Australian Pro Tour and will welcome a host of leading international and Australian professional tennis players. The ITF Futures Event also provides up-and-coming players the opportunity to advance their ranking while playing against professional players. The Northern Territory Government, in partnership with Tennis NT, Tennis Alice Springs and Tennis Australia is proud to present the Australian Pro Tour Tennis International in the Red Centre, working together to drive visitation to the region. For more information on the Australian Pro Tour or Tennis Australia visit www.tennis.com.au.